Do you know what will happen to you when you die? Do you know where you're going? Are you 100% sure of your eternity? "I had many good works, diligently showed kindness to others, faithfully attended and volunteered at church, gave money to the needy and besides all this, I'm secure of my eternity because I prayed a prayer one day." But God says it's wise for every person to test yourself by His word (rather than yours or others) and see if you truly possess the faith that saves. God, who alone owns Heaven, assures us the only way to Him, is through faith in His Son, Jesus the Christ. "He [Peter] was still speaking when, behold, a bright cloud overshadowed them, and a voice from the cloud said, 'This is my beloved Son, with whom I am well pleased; listen to Him.' "
"Jesus said to him, 'I am the way, and the truth, and the life. No one comes to the Father except through me.' "
There's no amount of "good works", praying, volunteering, giving or attending church you can do that will save your soul from God's just and righteous wrath that's poured out on all who have not been washed by the blood of Christ and sanctified by His Holy Spirit through faith and obedience in Christ Jesus the Lord. Basically, God is perfect and Heaven is perfect; therefore all who enter must be made perfect as well. Make sense? If God allowed all of us to enter Heaven just the way we are, Heaven would cease to be Heaven and would just be another earth full of liars, thieves, murderers, idolaters, revilers, sexual immoral, self-centered, prideful and foolish people. I could go on, but you get the picture. Jesus is God made man. He was divinely born of a virgin, lived a sinless and perfect life (that is, He perfectly kept all the commandments of God the Father and though tempted in the desert for 40 days and nights by the devil, Jesus never sinned). After living 33 years in complete sinlessness, Christ willingly gave up His life to bear the sins of the world and was crucified on the Cross at Calvary. You see, because God is just, He must punish evil. But because God is also the justifier, He gave Himself, in the form of His Son as a propitiation for the sins we all committed against Him (Rom 3:25-26, 6:23). Our justice system is much the same. When someone breaks the law, they're required to pay for their crime either monetarily, through public service or time in prison. If the judge is not corrupt, no matter how "good" someone has become or promises to be when they're before the court, the judge must require a penalty equal to the crime if the lawbreaker is to be set free. We've all sinned and fallen short of the glory of God. We've all lied, cheated, stolen, gossiped, slandered, hated (which God considers murder), along with a host of many other sins. We've all broken God's holy laws of life, therefore it is good, right and just that He demand full payment for our crimes. Unfortunately for us, the penalty that's equal to our crimes against a holy God is suffering His just wrath and being cast into the lake of fire (Hell) for all eternity. "For the LORD will not cast off forever, but, though He cause grief, He will have compassion according to the abundance of His steadfast love; for He does not willingly afflict or grieve the children of men." Because God is love it brings God no pleasure to cast people into Hell. So He provided a way...just ONE WAY to be cleansed from the filth of our sins and be made righteous before His sight...He gave us Jesus, His One and Only Son. Christ is God incarnate (that is, God in human form). When Jesus was here, He was 100% God and 100% man. And there is none like Him. Nor will there ever be. You see, it's not about your personal opinion or professions, or the opinions or professions about others that have the power to save your soul from God's wrath, it's only God who can save you from Him because there is none greater than Him, nor anyone equal to Him. He is the Almighty. With great love, compassion, grace, mercy and patience, more than 2,000 years ago, God sent His Son, Jesus the Christ, to live the life no other person could ever live; a life of true righteousness before the sight of a holy and perfect God. Though tempted in every way, Jesus never sinned and that is why He alone is qualified to be the perfect atonement for our sins (Heb 4:15-16; 2 Cor 5:21). Jesus left His glory in Heaven where He was perfectly adored, honored and obeyed to come to earth filled with evil people who spit in His face, mocked, beat and crucified Him—but not without His permission to do so (John 10:18). By Jesus' gracious sacrifice, our sins were cast on Him, but that wasn't the end of the story. If it were, we'd all be left without hope. On the Third Day, Christ was resurrected by the power of the Holy Spirit and appeared to the apostles and more than 500 other believers. He remained on earth for 40 days after His Resurrection so He could prepare His disciples for what was to come. After 40 days, He ascended into Heaven on a cloud before commanding His disciples to share the Good News to their families, friends, neighbors and to all the world, teaching all who believe to obey everything He has commanded them (Matt 28:19-20). Because God allowed Jesus to give His life in order to save our souls from death in Hell. Those who repent (that is, honestly confess your sins and turn away from them and turn towards God) through faith in Christ, trusting Him alone with your life, God will see your debt to Him as paid in full by the blood of His Son and He will credit to you, the perfect life Christ lived, which is His righteousness. No longer will God look upon you and see sin, but He will look upon you and see the blood of His Son who has cleansed you and set you free. For all who believe, we are now free to live a good life. 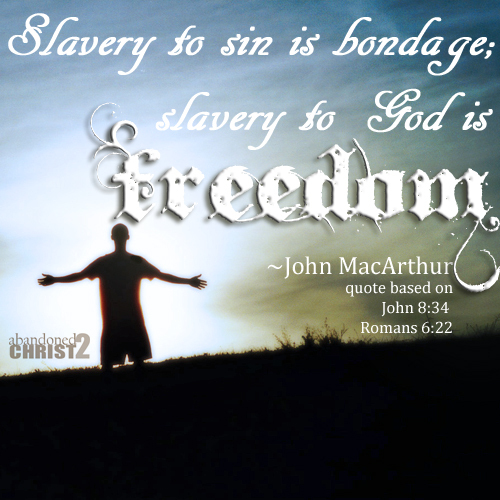 We are no longer enslaved to sin! We no longer have to succumb to the temptations of this world! We have been set free in Christ to finally obey God, do good and find pleasure in love, joy and peace! "And without faith it is impossible to please Him, for whoever would draw near to God must believe that He exists and that He rewards those who seek Him." "for it is God who works in you, both to will and to work for His good pleasure. Do all things without grumbling or disputing, that you may be blameless and innocent, children of God without blemish in the midst of a crooked and twisted generation, among whom you shine as lights in the world"
If you've received the free gift of God's grace through repentance and faith in Christ the Lord, Hallelujah! I rejoice with you, along with angels in Heaven! If you're at a lost on what to do next, you can email me (I'd love to hear from you) and/or click this link: Save Yourself Some Pain. May the Lord's grace and peace be multiplied to you as you live abandoned to Christ.